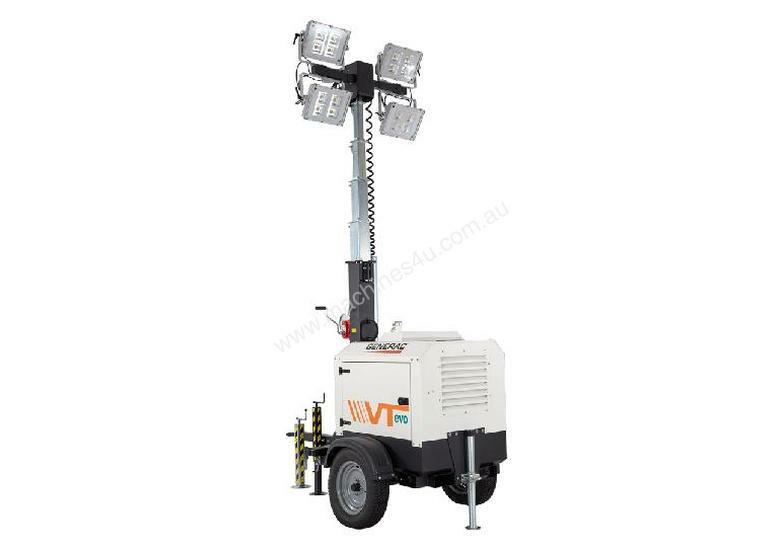 The lighting power of 4x290W LED floodlights meets a very narrow canopy design evolving the new VTevo light tower onto the most compact and eco-friendly light tower ever created! VTevo will help you to skimp up to 75% of fuel and protect our environment with a reduction in carbon emissions up to 10 Ton per year. The machine can run continuously without refuelling up to 240 hours. 4x290W high efficiency LED floodlights designed by Generac Tower Light. Granted life expectation: 35,000 working hours! Up to 25 units can be loaded on a single truck, 10 units on a 20 container and 22 units on a 40. A perfect solution to save transport costs!